The medical college has a full fledged hospital that offers the best training for students in this field, with round-the-clock facilities manned by competent and trained doctors. Emergency and trauma care services handle complex medical, surgical & accidental emergencies. With 70-80% bed occupancy, there is a total of 1100 beds including the Superspeciality Hospital. Chettinad nurtures future doctors by offering them the best practical and clinical training that in turn helps in gaining knowledge and experience. 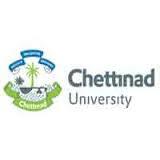 With years of experience in some of the best institutions in the country and abroad, the faculty of Chettinad Academy of Research and Education comprises a number of specialists who are leaders in their respective fields.With substantial publications to their credit, they drive the research agenda at the campus. Opportunities to interact with outstanding professionals and remarkable teachers enrich the student experience at Chettinad Health City.